If you are trying to print documents with black ink on your HP 4650 printer, they appear with green or no color at all. In addition, you are certain you have black ink in your cartridge after checking. The issue is with the default ink cartridges HP shipped with your unit. 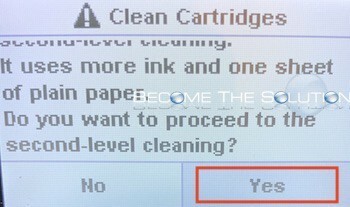 If you haven’t printed in awhile, you will need to clean the cartridges to revive them again. Note, you made need to repeat this process below up to 10 times before your black ink works again. 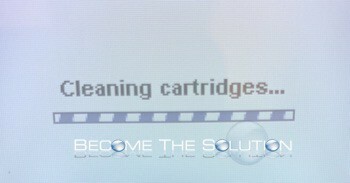 On your HP touch-screen, go to Setup -> Tools -> Clean Cartridges. Wait for the cleaning to complete. After, it will prompt you to proceed with second-level cleaning. Click Yes. Repeat the above steps until your black ink begins to show at the top of the page. The black ink should continue to get darker after each cleaning attempt. If it after at least 10 cleaning attempts your black ink does not return, you may need a new black or color ink cartridge to replace the units that came with your HP. 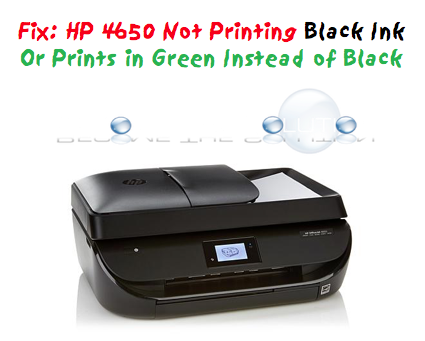 Buy HP 4650 Ink on Amazon here.